Macro photography print of an old antique milling machine with two large rusty gears. Industrial steampunk art photography print. 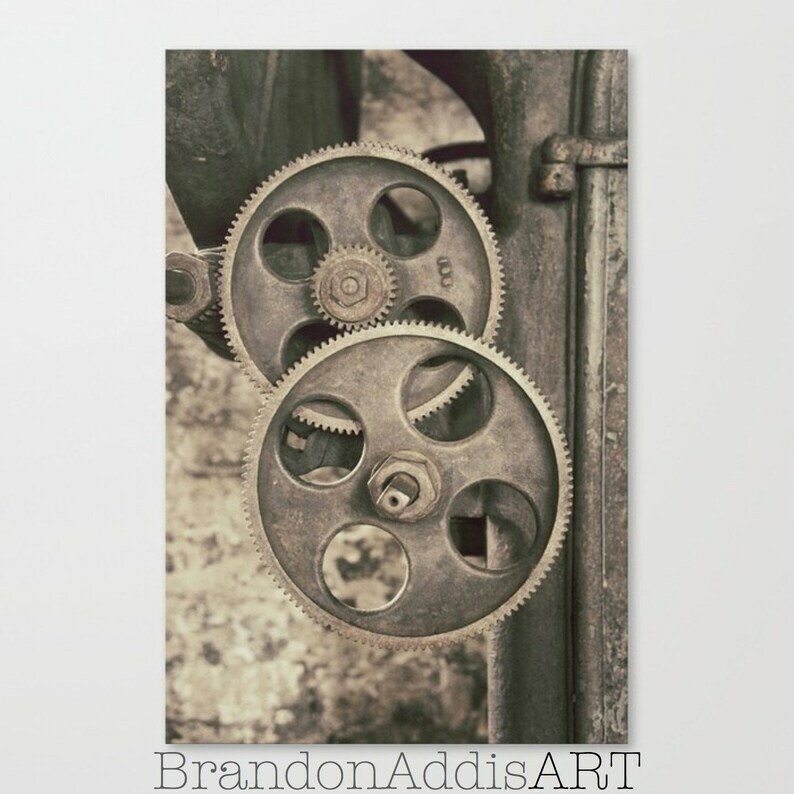 Industrial wall art print by BrandonAddisArt.